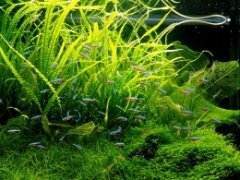 Picking the right lighting for your planted aquarium can be intimidating and confusing. There are so many options to choose from, and so many ways to measure these options. The first step to understanding full spectrum aquarium lighting is to understand what type light your plants need, and what the measurements mean. Color temperature, measured in Kelvins, is often the easiest measure to find, after wattage. It is a measure of the overall color of the light as it appears to the human eye. Lower color temperatures appear reddish while higher temperatures appear bluish with white in the middle of the range. 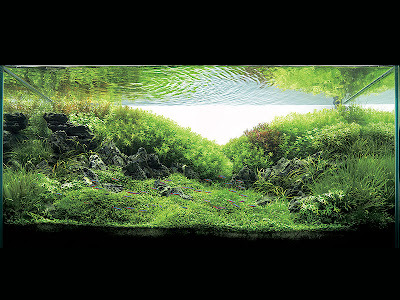 Often, a temperature between 5000K and 10,000K is recommended for a planted aquarium. However, two bulbs with the same color temperature may in fact be emitting very different light, some more useful to plants than others. This has to do with the different wavelengths of light, and explains why relying on color temperature alone can be misleading. Visible light is made up of many different wavelengths, mixed together. It's the absorption or reflection of particular wavelengths that produce colors. Plants require certain wavelengths of light to carry out photosynthesis using chlorophyll. The light that chlorophyll absorbs is used to power photosynthesis. 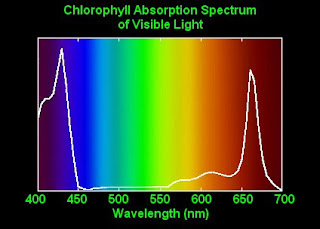 By examining the wavelengths of light absorbed by chlorophyll, we can begin to understand the needs of our aquatic plants. As shown above, plants need the majority of the light to be around 400-450nm and 650-675nm (or blue and red light). The blue light is used for leaf growth, and promotes bushy, compact growth, while red light is mainly used for flowering and strong stems. They reflect most green light, thus explaining why leaves are green. Armed with this information, we know that any aquarium light will need to produce large amounts of blue and red light. Most bulb manufacturers include the spectral output graph of their products on or in the packaging. Examine this output graph and try to find a bulb that matches up with the spectral absorption graph for chlorophyll. The closer the match, the better the bulb will be for your plants. For example, the following graph is for a GE 9325K bulb. The bulb matches up fairly well, although the spike at 600nm is not really red enough (650-675nm) for a plant to fully benefit. The blue light spike is however beneficial, and the spike in greenish-yellow light will make the bulb look bright to the human eye. Although you may not notice a major difference between bulbs, a mix between a color temperature that you like and a spectral output that your plants like will help create healthier plants and a healthier aquarium. For more in-depth information on the science of full spectrum aquarium lighting, check out this discussion of aquarium lighting science and photosynthesis, or this aquarium light bulb comparison study. For more information on lighting metrics, check out this page on Kelvin, nanometers, PAR, and CRI. It's been a while since you've posted. Glad you're back blogging! Thanks for this article, I was trying to find information on this very topic with limited success. I'd like to show you a great link with a comparison between bulbs considered plant grow effectiveness. Look for a high PUR (Photosynthetically Usable Radiation) value. just a quick question, what bulbs (T8) are considered the best to use or is it not that simple. i just get lost reading and reading contradictive opinions, no one ever just says this is what works well..these are a great bulb..what bulbs were used on the tank at the top of the page? New url for the calculator! We may not place a big deal on freshwater aquarium lighting, however, we have come to appreciate its importance in ensuring a livable place for your fishes. and would like to add lightings on it. 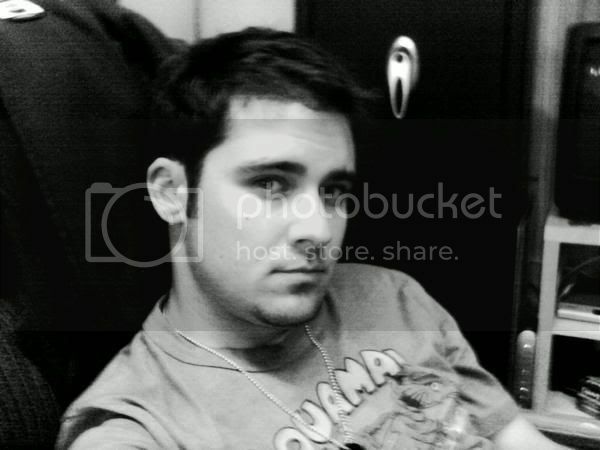 What would be the initial steps necessary for me to do? Cool. thanks for the info, it very helpful cause i am planning to buy a new aquarium for my new fish. Have you ever thought of, that these chlorophyll graph are values ​​for which the chlorophyll is precisely the most efficient, ie. chlorophyll is most effective in the 400 nm region and less in 600 and up. If you instead do a mirroring on the curve above the x-axis, you will get a better picture of where it is interesting to add the biggest efffekt. All these things together will make that we need to give more red light than blue. I have personally seen plants loose their lowest leaves because they mainly were illuminated with light in the blue area. By changing a few of the fluorescent tubes that were used to some more red light tubes, the plants were pearling already after 15-20 minutes after this change.